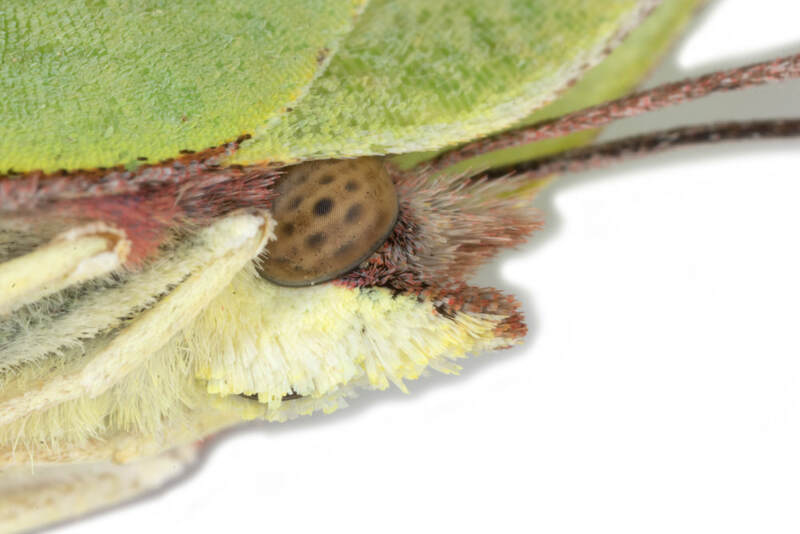 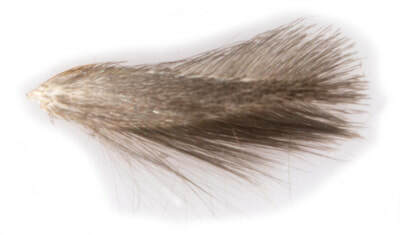 ID: Forewing with both median costal and dorsal pale spots, without a complete fascia; frontal tuft yellow/orange/ferruginous, collar concolorous; without forewing basal pale spot; without hindwing hair-pencil > E.albifasciella. ​E.subbimaculella/heringi are similar but have of a pale basal forewing path patch and a brown-black collar, darker than the frontal tuft. 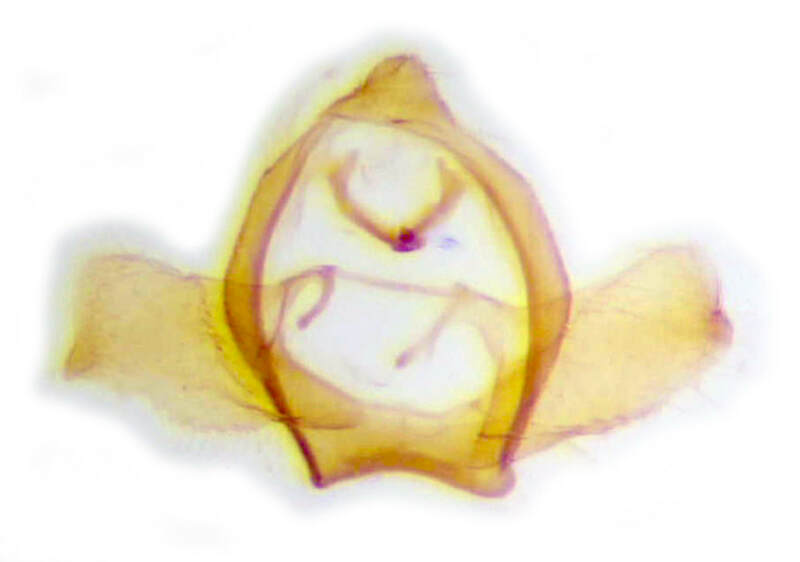 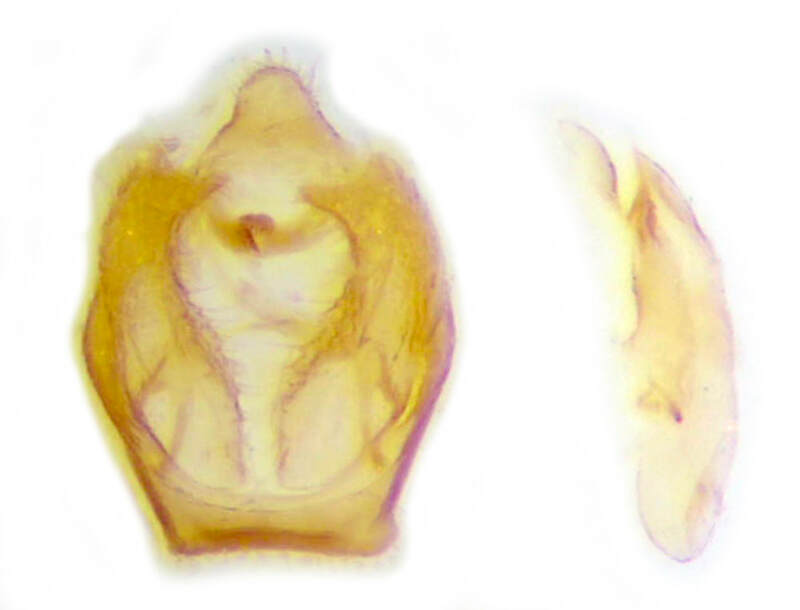 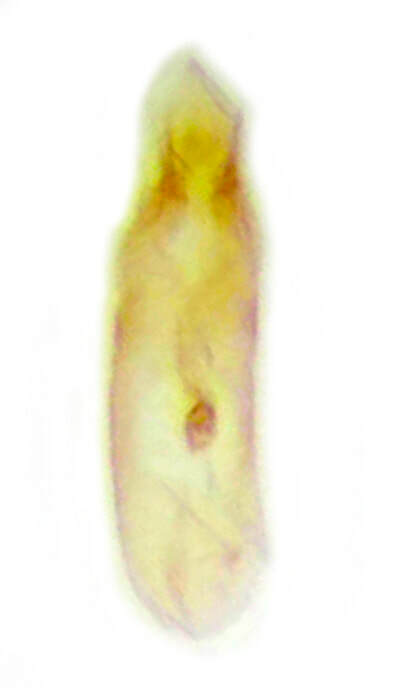 ​​Male and female genitalia of all three species are illustrated in MBGBI1 p201; males of all three and females of E.albifasciella and E.subbimaculella are shown at Moth Dissection.